Rachel Notley stood up for Alberta values and laid out a plan to grow the economy, while Jason Kenney continued to duck questions about his controversial and divisive agenda. Albertans got a clear picture of the choice they will face April 16 during Thursday's televised leaders debate. Throughout the debate, Notley told Albertans about her plan to create jobs and spur growth in Alberta’s energy sector. Her plan would super-charge upgrading of oil and gas right here in Alberta, while carefully reduce the deficit. While Kenney is jeopardizing public services with massive corporate giveaways, Notley said her path to balance will not mean undermining public health care or classrooms. 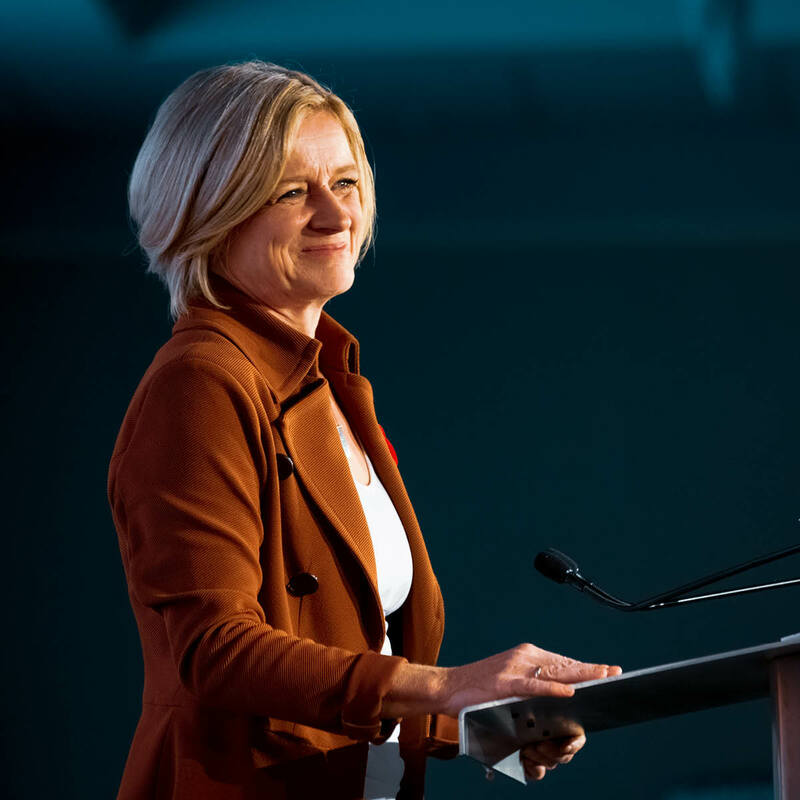 Strong health care “doesn’t come from freezing spending and asking people to reach into their back pockets and take out their credit cards," Notley said. Cutting classroom sizes means hiring teachers, not freezing spending while 15,000 more students enter schools each fall. Kenney continued to tout a divisive plan that involve hiring lawyers to sue other Canadians. He also sidestepped questions about how he would protect critical services for students and patients. The UCP leader continues to promote what fellow conservatives have called a "fiscal fairytale," a $4.5-billion corporate giveaway without any guarantee of a return. Kenney's own platform does not predict any benefit for Albertans for the first two years, with minimal growth after that. Kenney's plan creates more bluster than benefits. But Notley said he has failed to show leadership in standing up to homophobic and racist statements made by his own candidates and party members. Notley said that Albertans deserve better in a leader.